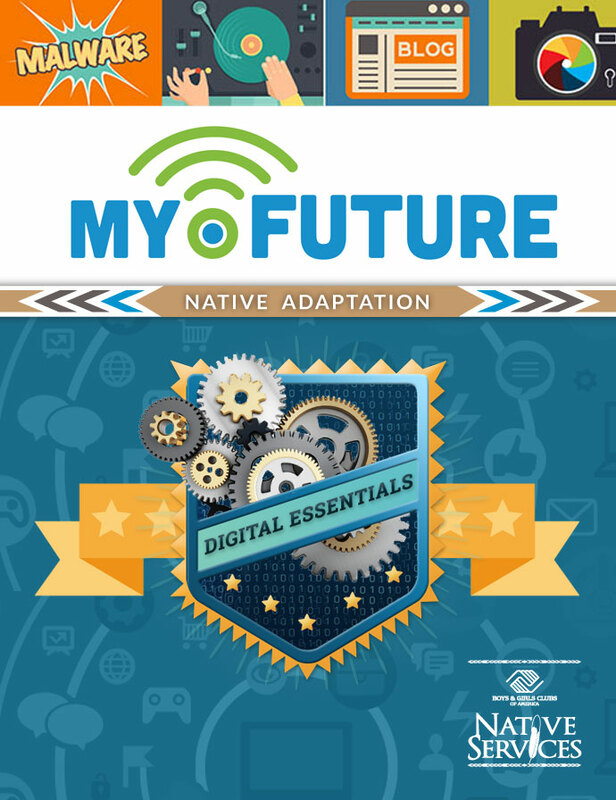 My.Future teaches Native youth valuable digital skills and helps them understand their media world, identify and develop digital interests and earn certifications as they progress. Digital Literacy Essentials is an online curriculum created by Boys & Girls Clubs of America to give youth the technological skills they need to thrive in today’s digital world. Through personalized and engaging hands-on experiences, My.Future teaches youth valuable digital skills and helps them understand their media world, identify and develop digital interests and earn certifications as they progress. Through the partnership between BGCA Native Services and Verizon, the My.Future Essentials curriculum was adapted to provide Native youth with an experience more reflective of Native culture. Local Clubs have the ability to create supplemental activities that reflect their culture and traditions.